In the midst of a digital industrial revolution, General Electric (GE) transformed their employment brand. We recently sat down with Shaunda Zilich, GE’s Global Employment Brand Leader, who shared how GE began this transformation by empowering their people across more than 170 countries worldwide. Throughout the conversation, Ms. Zilich delved deeply into their entire brand journey, including how GE has maximized both talent acquisition and talent management. How has GE leveraged their brand to “land the top talent on the market”? What are the disadvantages (and advantages) of having a budget of “zero”? 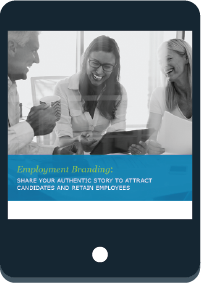 How did GE restore trust among their candidates, employees and business partners? What steps can you take today to begin your own employment brand revolution? Find answers to these and many related questions by downloading now! Fill out the form and get this free report today!